Jazz Appreciation Month (fondly known as "JAM") was created in 2001 to recognize and celebrate the extraordinary heritage and history of jazz for the entire month of April. 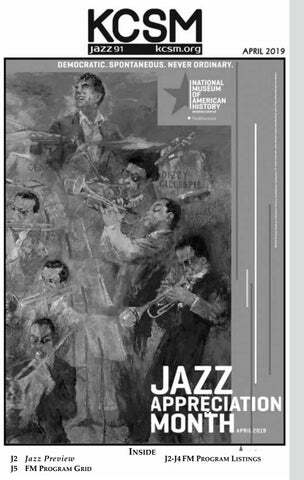 JAM is intended to stimulate and encourage people of all ages to participate in jazz—to study the music, attend concerts, listen to jazz on radio and recordings, read books about jazz, and more. This year, JAM celebrates Jazz Beyond Borders by looking at the dynamic ways jazz can unite people across cultures and geography. The Smithsonian Jazz Masterworks Orchestra will visit cities in North America, Europe, and Asia on their next tour. Their goal of "convening conversations," will use the power of music as a springboard into important discussions around diversity, identity, diplomacy, and innovation. This year’s featured artist is Nat King Cole and his work as an innovative artist, world influencer, and dynamic performer. An international performer, Nat King Cole gained wide support from around the globe. He pushed racial boundaries that sought to prevent him from success. He was the first African American to host his own television series, The Nat King Cole Show. The sound of surprise describes both jazz itself and the enduring premise of "The Annals of Jazz." Since 1959, host Richard Hadlock has been improvising on historical themes and bringing forth worthy performers—from Armstrong to Zorn. Each Sunday, we may find Annals in Europe, Asia, Latin America or Back of Town anywhere. Recordings of live performances of one of Charles Mingus’s greatest bands, a swinging sextet with Jaki Byard, Clifford Jordan, Eric Dolphy, Dannie Richmond, and Eric Dolphy capture a smoldering ensemble fully realizing the potential of Mingus’s compositional genius. One of the major composers of late 50s/early 60s bebop, Freddie Redd achieved renown through his work with Jackie Mclean. Now he maintains a low but steady profile, playing and recording with younger musicians like saxophonist Chris Byars. South African drummer Makaya Ntshoko has been an on-again, off-again presence on the international jazz scene since emerging in the 1960s as the perfect sideman for Abdullah Ibrahim and shined in his work as a sideman with Dexter Gordon and Mal Waldron. One of the major voices of jazz in Europe, Wheeler was a trumpeter/composer who brought intelligence and grace to the avant-garde scene in the UK for 60 years. His collaborations with the best musicians on both sides of the Atlantic still sound inviting and fresh. It’s hard to imagine the forward-looking jazz scene of the Bay Area without the tireless efforts of composer, bandleader, and bass player Lisa Mezzacappa. Her open approach and powerful sound serve as the backbone for an incredible range of musical projects, and her vision and enthusiasm help keep the creative pulse strong in a rapidly changing city. We'll hear from saxophonist María Grand, vocalist and flutist Melanie Charles, and saxophonist Lakecia Benjamin on their own unique sound, in their own words. Jazz Night in America spotlights vocalist Dee Dee Bridgewater in a performance from Jazz at Lincoln Center, featuring the music associated with Abbey Lincoln and Nina Simone. Celebrate Herbie Hancock’s 79th birthday with a conversation between Christian McBride and Mr. Hancock about his journey in technology through the years. Two years ago this month, the legendary vibraphonist Gary Burton announced his retirement. Jazz Night in America flew to the Jazz Kitchen in Indianapolis, to capture NEA Jazz Master Burton’s final concert in the U.S.
Pianist/Composer/Bandleader Abdullah Ibrahim’s Town Hall Concert in New York City on 2017 South Africa Freedom Day. In addition to his own compositions, Abdullah revisits music from his years in the Jazz Epistles (1960), a short lived, legendary South African bebop band. On this 1987 episode of Piano Jazz, composer and ever-inventive keyboardist Hancock sticks with the acoustic piano for this set of solos and duets with host Marian McPartland. Composer, arranger and pianist Henry Mancini (1924–1994) wrote some of the most memorable tunes of the modern era. Throughout his career, he recorded more than 90 albums and won 20 Grammys and four Oscars. In this 1985 edition of Piano Jazz, he discusses his muse — the movie screen — and performs several favorites including Days Of Wine And Roses. Vibraphonist Lionel Hampton (1908–2002) was one of the most influential figures in the history of jazz. He made the vibes a vital voice in the arsenal of jazz instruments, and gained international fame while playing in Benny Goodman’s small groups and leading his own orchestra. On this 1989 episode of Piano Jazz, Hampton and host Marian McPartland duet in a set that includes Sweet Georgia Brown and Mack The Knife. Author, promoter, entrepreneur, record producer, band manager and Charles Mingus’ widow Sue Mingus, joins host Marian McPartland, on this 2003 edition of Piano Jazz. Showman, composer, performer, and ambassador, Duke Ellington (1899-1974) turned jazz it into a sophisticated international art form, in practically all forms. Duke put his stamp on popular songs, serious works, musicals, “sacred concerts,” and even extended symphonic suites. This overview takes measure of the jazz royalty that was The Duke. The Ellington story picks up in the early ‘30s. As America struggled through the depths of the Depression, Ellington’s star continued to rise. But his manager Irving Mills’s move to book Ellington and his band on a tour of the racially-segregated Deep South brought Duke to a career crossroads. Duke Ellington, the bandleader, was an icon. From his humble beginnings with a little sixpiece band from Washington, DC, he assembled one of the greatest orchestras in the history of jazz and kept it going for almost fifty years. 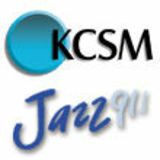 Visit our website at www.kcsm.org; then click on the Jazz 91 Playlist link. Go directly to the playlist at www.jazzlist.org Tune into JazzTV on Digital Channel 43.3 Tune into Comcast Digital Channel 962. What Was That Tune, Anyway? AMERICAN JAZZ COUNTDOWN WITH CLIFFORD BROWN JR.